BOSTON – April 6, 2018. Rabies is unlike other infectious diseases: It is 100 percent fatal yet also 100 percent preventable. FOUR PAWS International, the global animal welfare organization, is on the ground in Myanmar tackling a major rabies challenge in isolated, yet populated villages. The mission has already vaccinated over 30,000 dogs and cats against rabies in 220 villages around the capital, Naypyidaw, in just four weeks. Thus, the area, which is three times as big as Singapore, is now considered as rabies-free. According to the World Health Organization (WHO) and Myanmar’s Livestock Breeding and Veterinary Department, nearly 62,000 people were bitten by dogs in 2017. Forty percent of those bitten were children under the age of 15. About 1,000 of these bites resulted in deaths due to rabies infections. In the second phase of the ambitious pilot project, the team aims to vaccinate another 20,000 animals in the ancient city of Bagan. After a brief pause due to the Myanmar's New Year celebration, FOUR PAWS will enter the next phase planned for April 28th. The 40-person team, including local and international veterinarians and organizations, is spear-headed by FOUR PAWS veterinarian Dr. Amir Khalil. As a result of the rabies crisis, residents and authorities have taken to mass killing stray and community-owed dogs due to fear of rabies. This is especially true in summer months. 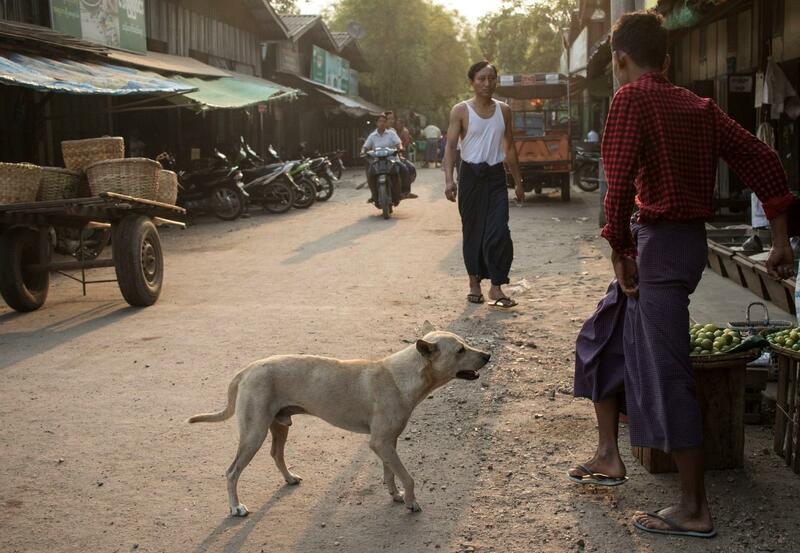 FOUR PAWS’ pilot project reinforces Myanmar's and WHO’s plans to eradicate rabies by 2030. There are an estimated four million dogs in the country, making the challenge more daunting. The Livestock Breeding and Veterinary Department, volunteers of Blue Cross as well as the local NGO “Mingalar Myanmar” support FOUR PAWS’ mission. FOUR PAWS trained the local teams in terms of sustainable rabies prevention, proper handling of strays and safe dog catching techniques. Additionally, visits to the affected communities and the ongoing public FOUR PAWS campaign have already created a heightened awareness in the region. NOTE: Video and still images of the ongoing vaccination project are available from FOUR PAWS.